THE PROTEIN THAT’S GOOD FOR EVERYONE! 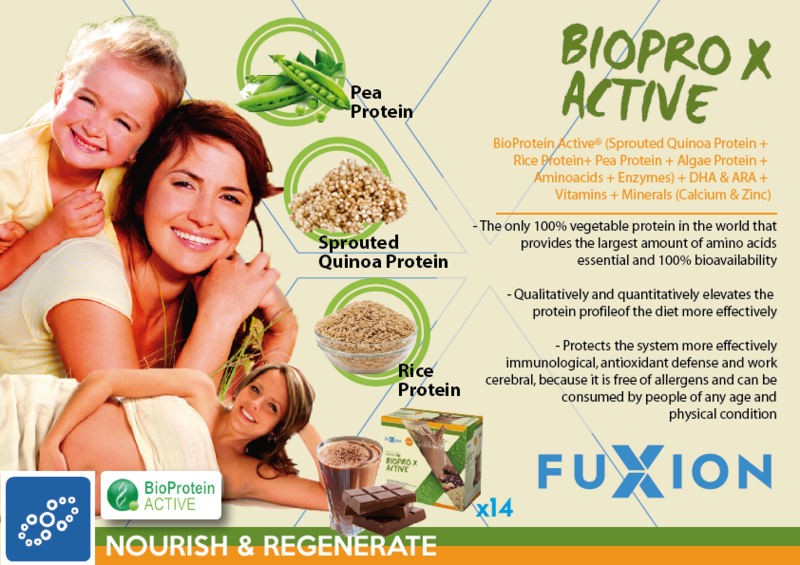 Protect your health and your whole family with BioPro X Active! The first live protein of 100% plant origin with the same bioavailability of animal proteins…This active protein offers the perfect supplement to your daily diet, helping you to achieve optimal health. Consuming BioPro X Active daily will help you to absorb essential, higher quality amino acids which are necessary for your body’s regenerative system. 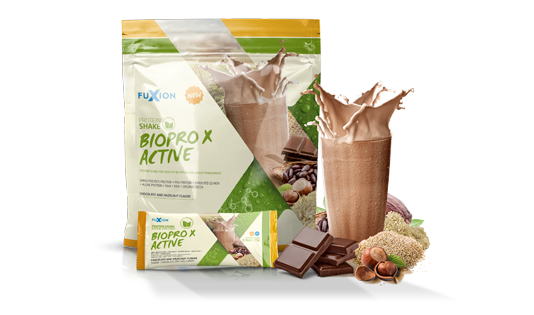 BIO PRO X ACTIVE is a brilliant combination of plant proteins, which together offer the highest biological value resulting in good nutrition for optimal cellular regeneration. Because BIO PRO X ACTIVE is a plant protein with a higher content of natural enzymes, it offers higher digestibility, giving faster results. On the other hand, it is free of allergens and can be taken by people of every age and physical condition, without the risk of any allergy or intolerance problems. Allows a better and faster assimilation of the essential amino acids. BIO PRO X ACTIVE is enriched with DHA and ARA, Coconut Oil, Vitamin A, B Complex, Vitamins C, D, and E, Calcium, Iron, Magnesium, and Zinc to strengthen your health and enhance your immune system!